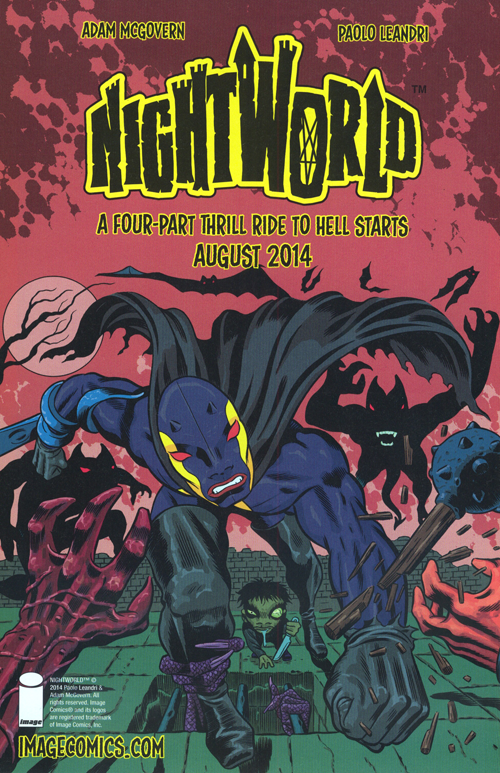 Nightworld is pulp action, vintage horror, tragic romance and timeless snark at its finest! The four issues of its first miniseries came out from August to November 2014, and its first collected edition hits comic shops March 18, 2015 and bookstores March 31! Support your local book or comic-seller or get the digital editions of Issues 1, 2, 3 and 4 (or preorder the book) here. Click here for Image Comics' announcement of Nightworld, here to read five pages of Issue 4, here to read four pages of Issue 3, here to read four pages of Issue 2, and here to read the first five pages of Issue 1! We'll be adding news about Nightworld's next issues, and materializations of its creators in-person and on the web, in the black space below!